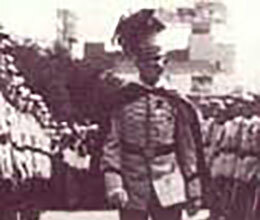 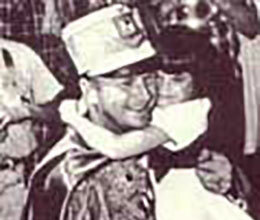 The Texas Cavaliers named our first King Antonio in 1927. 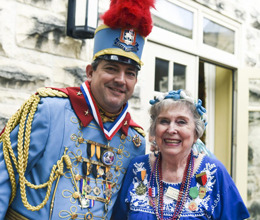 Sterling Clinton Burke was elected by his peers to pay tribute to Alamo heroes, attend the first King’s Ball, and preside over city-wide Fiesta activities. 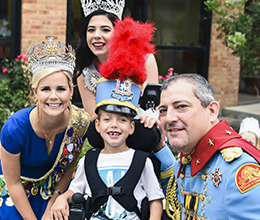 A King Antonio has been selected from the ranks of the Texas Cavaliers in every subsequent year except for those when our country was at war and Fiesta events were canceled. 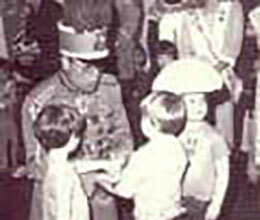 Since the King’s early days, the honor has evolved into a platform from which the Cavaliers’ monarch can distribute charitable funds; deliver a positive, healthy message to schoolchildren; and merrily greet all royal subjects at numerous ceremonies, parties and special appearances during 10 action-packed days. 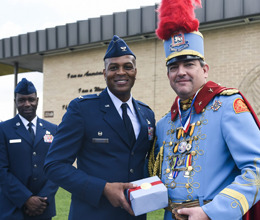 The King pays special tribute to the military/civilian partnerships that weave the very fabric of our city’s history, visiting military bases and recognizing American troops for their vital role in securing the safety of our country. 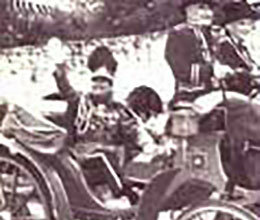 Men from many of San Antonio’s most prominent families have served as King Antonio, some following in the royal footsteps of their fathers or uncles – in one case, even a grandfather! 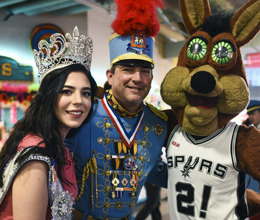 Together with Fiesta royalty from every sector of the city, King Antonio presides over a week of fun, families, and food that celebrate San Antonio.